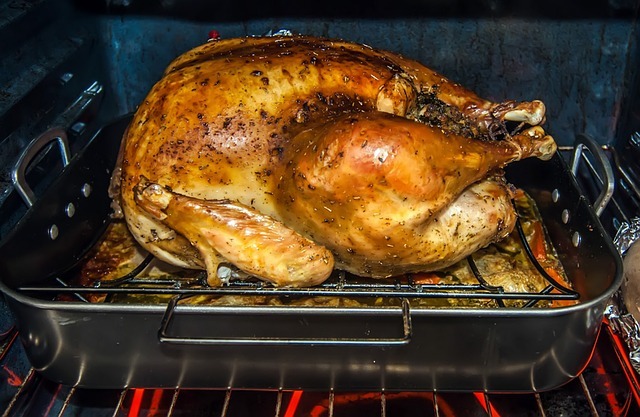 What’s the Difference between Toaster Oven and Convection Oven? Moving out and starting life on our own comes with its challenges, and among them include deciding which kitchen equipment is ideal for our needs. As a kitchen enthusiast, you want the best equipment to show off your skills, and among the difficulties you encounter is deciding between a toaster oven and convection oven – they seem to have the same functions which are a bit confusing. In the following few paragraphs, we attempt to separate the wheat from the chaff by going head first into the convection oven vs. toaster oven debate. Strap your seatbelts and enjoy the ride – and you are welcome! The fire was among the most significant inventions by our forefathers. It made cooking possible and added taste to rather unsavory food items – you cannot imagine how meat and vegetables tasted. It is hard to picture how life must have been without the luxury of sweet food, cooked right and with the right ingredients, measured to perfection for the taste buds. But we can be thankful that humankind is always improving and making better equipment to increase convenience and make life better. We can appreciate that there are now convection ovens, the successors of traditional ovens. The old ovens rely on their walls to disseminate heat to the food. In contrast, the modern convection ovens use fans to transmit heat throughout the cooking space. The blown hot air then cooks the food evenly, and faster. Convection ovens rarely lose their heat when you open the door which allows you to do a variety of actions including change foods for a faster cooking process. Essentially, the fan-assisted heating is the most critical feature that makes convection ovens better and more efficient than their traditional counterparts. But can they cook as efficiently as their conventional counterparts? Well, the convection ovens are similar in size to their traditional cousins. As such, there’s no limit as to how much you can cook with them. In simpler terms, you can grill casseroles, reheat food, broil meat, roast, toast and brown, various meats. Our forefathers demonstrated brilliance by inventing fire, but we have taken this brilliance to unprecedented levels by developing convection ovens and other pieces of equipment that support our innovation in cooking. The problem with convection ovens is in their size. As such, you cannot take them to the office and use them to heat food you carry to work from home. But thanks to toaster ovens, you can now heat your snacks and shake off any cold creeping within your body. Well, in the convection oven vs. microwave debate, factors such as convenience, heating, and cooking efficiency come into play. Some of the features characterizing toaster ovens include a removable baking pan, removable wire rack, and a front door. Toaster ovens are ideal for heating food, dehydrating, defrosting, roasting, toasting and baking and broiling. However, these features vary between models and brand. Essentially, toaster ovens function like the old ovens. Their heating elements are either at the top or bottom and start heating food when you turn them on. These compact ovens boast a variety of options that include high and low searing. Toaster ovens are energy efficient food warmers, and some of them come with options such as thermostats and timers. Some of us prefer baked foods than other cooking methods. You will also find that others prefer boiled or steamed fish. We have different cooking needs. The beauty of toaster ovens is that you can choose those specialized for the cooking you prefer – exercising your freedom of choice at best. The best way to acquire the best equipment, worth the investment is by understanding how each functions. How it is different from the others. The biggest mistake you can make is assuming that a toaster oven and convection oven is the same thing and that you can replace one with the other. In most cases, people have both ovens gracing their kitchen, and it is quite okay. In such cases, some people wonder why anyone would choose to waste their resources by having two similar kitchen devices, but nothing could be further from the truth. Toaster ovens are standard in most offices where there is not much cooking. The much compact oven is ideal for heating foods that are not too big such as croissants, slices of pizza and queen cakes. The kind of food that you take to top up your energy to work harder as you wait for the main dishes. The small amount of foods that toaster ovens can deal in is a limitation. You can only bake a small cake which may not be enough for a few people. Toaster ovens are compact and convenient. They comfortably sit on your kitchen counter or office table. We cannot, however, say the same for convection ovens that require more space. 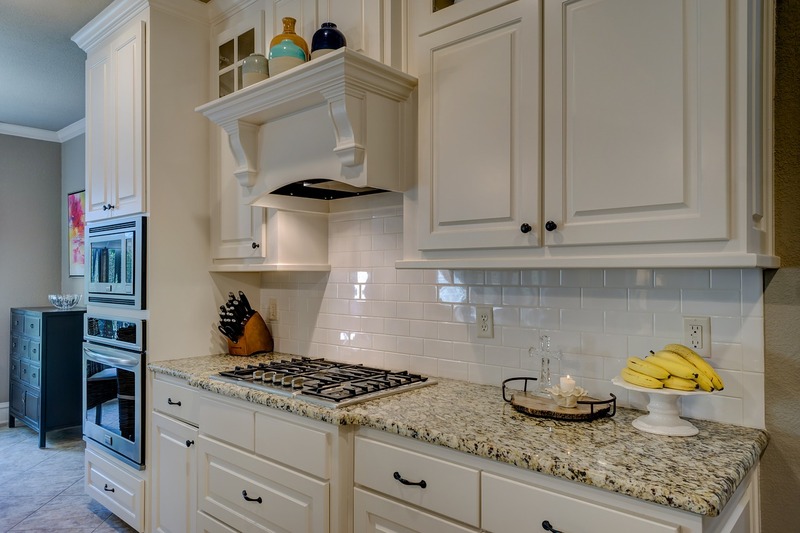 But you can find convection ovens that are within the kitchen counter – built into the kitchen counter. In such a case, they become much more convenient than their counterparts that require the top counter space. As you would guess, toaster ovens are energy efficient. They significantly have lower amounts of energy than their built-in counterparts. Heating bagels and small pastries do not require that much power. A much more significant disadvantage of the toaster oven is that they may take some time to heat and be ready for cooking. That is not the case with convection ovens which cook much faster and more efficiently – they are ideal for a variety of cooking exercises. And while convection ovens can run on electricity and gas, the toaster ovens only run on electricity. That means the cooking needs not stop in case of an outage. But you will need to have a source of gas. There is a big difference between warming food and cooking food. The compact toaster oven performs terribly when it comes to cooking. It is slower and inefficient. In contrast, convection ovens are efficient at cooking food. They are fast and efficient. You see, these guys employ fans to disseminate the heat all over the cooking space, apply it evenly on the food. We cannot say the same for toaster ovens as the heating element is only a short distance from the food. As a result, there are hot and cold spots, and your food will cook unevenly, most of the time. Convection ovens ensure the chicken turns brown quickly and cooks much better than it would in a toaster oven. Your croissants, cookies, and cakes cook better and much faster in a convection oven. The added perks of the fan-assisted cooking are accelerated cooking and better-tasting food. The underside of the convection ovens is that they are not the most efficient when it comes to baking. There are claims that they are weak in retaining moisture and the end product tends to dry out. As a result, you will need to develop some skills in heat adjustment to ensure you don’t always end up with burnt or dry pastries. On their part, toaster ovens cannot cook certain dishes such as rice. They are also not efficient when it comes to boiling food. If you are cooking large dishes in a short period, you will need to use convection ovens. The smaller toaster ovens are excellent if dealing with smaller food items. There are significant differences between the cooking temperatures of toaster ovens and convection ovens. Toaster ovens utilize rapid warming temperatures which make them ideal for warming bagels or muffins in the morning. Convection ovens are quite efficient when it comes to cooking a variety of foods, be it bagels or roasting some steak. However, you may need a quick study of temperature controls to avoid becoming an expert in burnt foods – it would be awful! In most cases, you should set the temperatures 25 degrees below what the recipe instructions tell you. Also, take note of the cooking time and reduce by at least a quarter. Well, the time and intensity of heat pretty much depend on the dish you are cooking. Your choice of the oven may also depend on your favorite foods. In other words, each type of oven is ideal based on the food you will be cooking with it most of the time. For example, if you are the kind of person that prefers soufflés, custards, and other soft foods, then a toaster oven is sufficient. A convection oven is perfect if your food must have a crusty top and mushy inside such as bread muffins and queen cakes. The bigger ovens are also ideal for roasting veggies and meats. Such foods need the fan to blow the top to a crust. The convection oven is best for pastries and pies than need some puffing. Some of us need to show off our skills, and raised croissants help achieve that. Also, certain foods like rice and boiling veggies result in a significant amount of steam. As a result, they need the blowing action of a fan. However, you can choose any oven if your food needs to cook with a lid in the container. As you would guess, the toaster ovens are much more compact, and that makes cleaning such an easy exercise. We cannot say the same for convection ovens. It has portable parts which you only need to remove from the oven and clean in the dishwasher and replace them. However, convection ovens are not as easy to clean. Maintenance of the bigger and much more complicated device is not a walk in the park, as those that use them will tell you. Both types of ovens utilize a non-stick coating, and you will need to be gentle with your cleaning. Clean the removable trays and other equipment frequently. The initial cost of toaster ovens is low, but you will need a much heavier purse to acquire a convection oven. Technology never ceases to amaze. It is continually making life more convenient and enjoyable. We now have a convection toaster oven that you can purchase and enjoy better cooking. The best convection toaster oven blends the best of both worlds and is the go-between in the convection vs. toaster oven debate. They have the efficiency of inbuilt convection ovens as they have fan-assisted heating. In other words, the convection toaster ovens feature a heating element in proximity with the fan that circulates heat throughout the cooking space. However, depending on the manufacturer, the convection toaster ovens tend to be a little bigger than their cousins, the toaster ovens. Regardless, the convection toaster ovens are much more versatile than toaster ovens and thus make better choices. As such, they are a darling in any kitchen or office. Other options they boast include thermostats, and of course, a timer to ensure efficient cooking. More modern toaster ovens also feature convection cooking where they utilize a fan for efficient cooking. Is a toaster oven a conventional oven? There is a significant difference between the two types of oven. Typically, a toaster oven is compact and is common in most offices and kitchens. However, the conventional oven is the old type of oven that uses a hot surface heated by fire to cook. The similarity between the two is that they both depend on heated surfaces rather than fans to cook various foods, as is the case with convection ovens. Can I use a toaster oven instead of a regular oven? It all depends on your cooking needs or the dish you are cooking. A toaster oven is small in comparison to the regular oven, and it would not make any sense to cook bigger dishes with it. However, if you only need to heat or cook some small foods, then the toaster oven is appropriate. Can you toast in a convection oven? Yes. Convection ovens are quite versatile, and you can roast, toast, boil, steam, and bake. It all depends on your cooking needs and recipe. Using a toaster oven depends on the type and size of the food you are baking. For example, you cannot bake a big cake in a toaster oven. Where would it rise to? But if you are baking a few muffins or a bagel, then you are free to use a toaster oven. Many people love it for its convenience and relative efficiency – don’t we all love technology? How do Toaster Ovens Function? As mentioned, toaster ovens utilize heating elements to cook or heat your dish. The heating elements are generally at the top or bottom and can be as many as six. Cooking of the food happens through the heated air in the oven cavity. Some toaster ovens have advanced functions such as quartz infrared heating elements and advanced controls. It all depends on preference and the much you are willing to spend. Are microwave ovens and Toaster Ovens the same? Some people wrongly believe that toaster ovens and microwave ovens are the same things. However, the two are entirely different. Microwaves are faster than toaster ovens that it sometimes surprises you, and you wonder how they function. The ovens heat all water molecules at the same time using electromagnetic waves, resulting in faster cooking speeds. In contrast, the toaster ovens use heating elements to heat the air surrounding your food, cooking it in the process. The above convection oven vs. toaster oven, discussion highlights a few aspects. First, your choice of oven depends on your cooking needs. For example, the toaster oven is great for soft foods that don’t require a crusty top. The convection oven becomes ideal if you have a big household and you often cook a significant amount of food. They are also suitable for crusty bread and muffins. All in all, the best oven for you is the one that sufficiently fulfills your needs – is it the oven toaster of a convection oven.